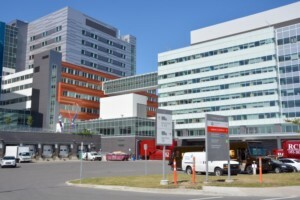 Rydin has successfully provided parking permits and other parking management products to hospitals throughout the United States and Canada for more than 50 years. No matter how you control access to parking for your facility, we can help. We can customize parking permits, warning stickers, informational signage, towing signs, valet parking tickets, employee name badges and other printed solutions for your hospital. Rydin also offers numerous security features and anti-counterfeit measures to help maintain safety and control. Contact our talented Sales Team for additional information.